In the past, employee training necessitated the hiring of training experts to deliver face-to-face seminars, which proved to be costly, especially for small businesses. Furthermore, employees involved in training must be taken away from their assigned jobs, which can lead to disruptions in the services your company provides, which only serves to add to the cost of the training. Here are 10 cloud-based Learning Management Systems that will significantly reduce your small business training’s cost. By using a Learning Management System (LMS) to deliver and track employee training, businesses can minimize disruptions in the workplace, and personalize training modules. As employees can train at their own pace, retention of learning materials increases. Because they can train anywhere and on virtually any electronic device, there is no need to pay costly travel bills associated with off-site training. Incorporating a Learning Management System into your training and/or orientation routine is a great way to keep track of milestones your employees achieve in their training and learning, and to save your business money. 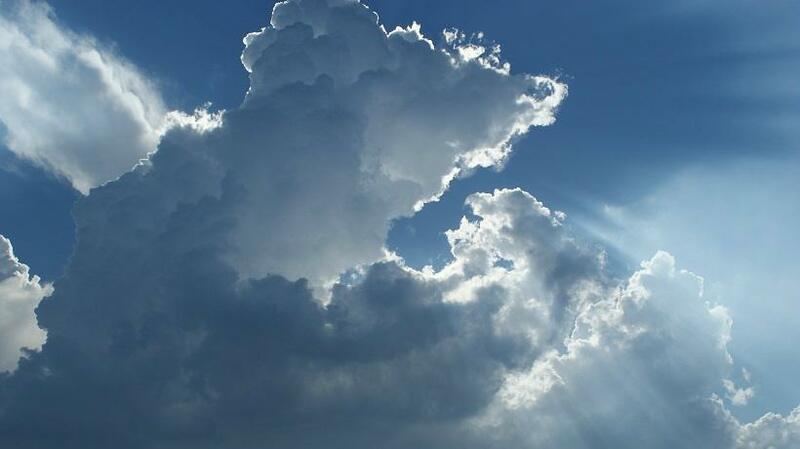 Here's a list of 10 cloud-based Learning Management Systems for small business training. All of these services work well for corporate training, so it is up to you to decide which Learning Management System to choose depending on your business needs. 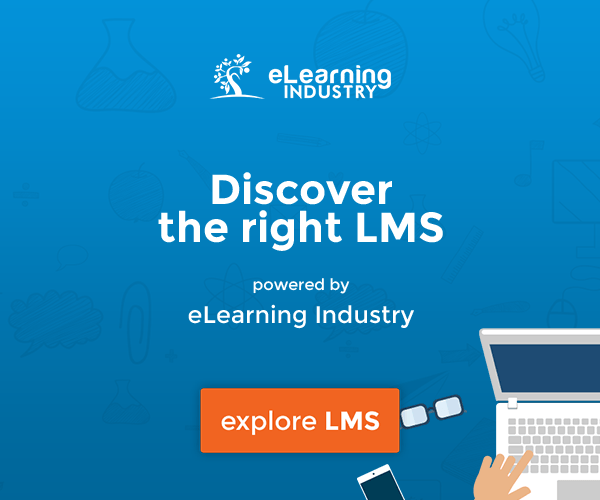 Find, choose and compare the eLearning Industry's Top Software as a Service LMSs! With Mindflash, you can import training materials, invite trainees to the course, and track their progress. Courses created in Mindflash can be used to train employees and salespeople or packaged and sold to clients or other companies. The software features Salesforce integration and rich tracking options for both online and instructor-led live training. Can upload unlimited PowerPoint, video, Word, SCORM, and PDF files for use in your training program. Courses can be viewed from any computer, smartphone, or tablet. Third-party services and social networks integration. Chat customer support feature not available with the Basic package. Trial version is only 14 days, which may not be enough time to set up and execute a course to get a true feel for the service's capabilities. Up to 1,000 active trainees and 50 admin accounts with the Pro plan. Increased training tracking with the Advanced and Pro plan including. Identification of the most and least engaging modules. Tracking the time it takes for each trainee to complete a module. Custom branding and selling of courses with the Pro plan. Litmos is a cloud-based, customizable learning solution for employee training and learning. With Litmos, your employees can complete training both in class and at home on their own devices. It has a modern look and mobile compatibility. With many features including SCORM, Litmos is loved by 1,000,000+ users. You can check the effectiveness of your training and integrate SalesForce for monitoring your sales activity. iOS and Android applications for taking courses on mobile devices. No limit to the number of courses or modules you can load or access in a month. TalentLMS claims to allow you to build your training courses in minutes. Courses written in TalentLMS's API are cloud-based, mobile-friendly, and easy to maintain. The service incorporates gamification, including the ability to earn and award points, rewards, and badges, making learning fun. The Learning Management System allows instructors to share courses with non-registered users. Free account is fully functional and without time limit for up to 5 users and up to 10 courses. Easy to understand downloadable quick guide. Option to use your own domain name when posting courses. Marketplace for buying and selling courses. Automation of course assignment and user management is only available with Plus and Premium plans. Does not seem to support Android devices. There is a 20MB per uploaded file limit with the free account. All paid versions support an unlimited number of courses. Though there is a limit to the number of active users per month, Unlimited plans support an unlimited number of registered users. The ability to upgrade, downgrade, or cancel your account at any time in the billing cycle. iSpring Learn LMS is an easy to use, cloud-based learning management system that gives you full control over the educational process and allows you to track learners’ effectiveness via detailed reports. It is a complete scalable solution that powers the entire eLearning process from course authoring to evaluating learners’ progress. The LMS also allows user feedback for instant communication between learners and trainers. It features e-commerce options and learning paths with customizable certificates. Free mobile app for iPad and Android tablets, which allows learners to save courses and complete them offline with postponed progress sync. A powerful set of detailed reports for tracking learners’ progress in your organization. 30-day trial that doesn’t have functional limitations on customization, etc. iSpring desktop authoring tools are only PC-compatible. 3rd-party SCORM quizzes don’t save detailed answers, only overall score. You cannot switch from tiles view in the learner’s portal, and need to scroll a lot when there are many courses in the list. Unlimited amount of courses to create and upload. Unlimited number of public and private views. Inquisiq r4 Learning Management System is a Learning Management System designed for corporate training and designing courses to sell online. Their service allows corporate trainers and training providers to brand and sell courses from within the Learning Management System. The various features which allow for automation can provide significant administration time savings. Social network and linking feature. Blended learning support, with the ability to track both online and instructor-led courses. Pre-built courseware is available for loading directly into your Learning Management System. eCommerce features, such as a shopping cart, discount codes, and PayPal support. No product guide available online for Inquisiq r4 (r3 is available). Not supported in shared server environments. The ability to make an unlimited number of branded Inquisiq Learning Management System portals under a single account, though it will cost you $20.00 per month for each additional portal. Each Learning Management System portal includes all administrative rights and privileges. Accounts are charged $4.00 per month for every additional user above and beyond their plan limits. eFront is a content-friendly, cloud-based learning management system that allows you to create online or offline courses and/or training modules incorporating blended learning. The system has a wide range of customization options and features gamification and blended learning capabilities. Rich communication tools, with support for internal email, calendar and discussion forums. Detailed reporting with a timeline documenting which users access and complete modules and when. No mobile app for iOS and Android devices. Must schedule a private consultation to get a quote for pricing. Access to a customizable portal, including access to source code. The ability to sell your courses online via PayPal or Stripe. Absorb LMS claims to be a flexible software platform that makes learning and training accessible on nearly any browsing device. The Learning Management System has a responsive HTML5 interface which can be adjusted for all screen sizes. Absorb LMS features e-commerce and social learning options. Automates many processes to free up site admin's time. Optimized for more than 20 languages. Display is adaptable for mobile devices, screen sizes, and vertical and horizontal orientations. No prices listed online; must contact company for a price list. There is a one-time "affordable" setup fee. Access to Absorb's team of experts. Access to their fully branded learning portal. Unlimited custom user and admin roles. BizLibrary's website boasts it is the "largest and fastest growing library" of training videos and eLearning courses, adding more than 50 on-demand training courses each month. The system provides social learning opportunities, learning paths and formal certificates and integration with video conference services. Training can be delivered across desktop, mobile, and tablet platforms. 30-day free trial gives you access to all training materials. Integrated email messaging and notifications support informal and social learning models. Access to technical support is limited to business hours. A variety of reports and tracking methods that can be exported in a number of file types, saved, or printed. The ability to upload and track custom eLearning materials. Access to thousands of on-demand courses and materials, organized into topic areas such as business skills, leadership and management, and sales and service. Docebo is a modular, cloud-based Learning Management System with unlimited storage. Courses created using Docebo can be packaged and sold online with the service's eCommerce app. Docebo can easily be integrated with your existing IT systems (HR, CRM and other preferred platforms) via an API system. The system is very user-friendly. With its Mobile app your learners can use all devices including mobile and tablet devices. Uses gamification design, allowing you to create badges and/or awards to help engage learners. Supports web conferencing through a number of apps. Learning Management System may be integrated with other third-party systems. Free trial lasts only 14 days, which may not be enough time to fully test the service. Some features, like the eCommerce app and custom domain names, are available at an extra monthly fee. Fully customize your Learning Management System, using your own colors and logos. Automate to define and trigger common rules when certain conditions are met. Compile your courses into your own course catalog. Upload external activities and certificates into the platform for users to gain additional credit. Digital Chalk allows you to track employee progress, and measure the impact of training on your business. You can use existing content from websites and video sites, convert PowerPoint slideshows, or migrate modules from another Learning Management System to create your courses. The service offers HD streaming video capability and features e-commerce. Online editing suite to upload, synchronize, and customize your presentations, like adding checkpoints that pause the video to quiz the user. Choose from a variety of question types to create tests with embedded answer feedback. Import external URLs to embed web content. No information on the site if they support social learning, like forums, blogs and live chats. Does not support gamification of training modules. There is a $10.99 one-time account setup fee. The ability to track and report user progress. Whichever software you choose, a Learning Management System will definitely help you keep track of employees’ progress and take your corporate training to the next level. Use this list of cloud-based Learning Management Systems to choose the right one according to the needs and goals of your business. Do you have a favorite Learning Management System that doesn’t appear on this list? Share your experience in the comments below!